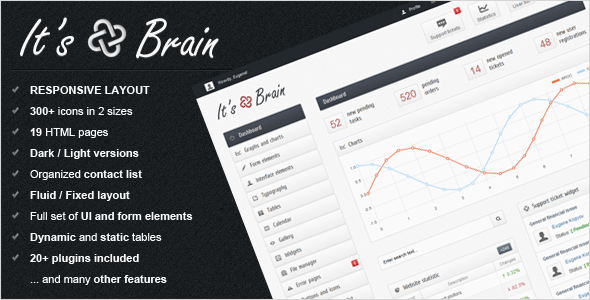 It’s Brain theme has been updated. Current version: 2.0. For easy navigation and turning on/off plugins, all of them were moved to the related folders. Filtering data rows with filters – letters only, numbers only, regular expressions, alpha only, auto converting to uppercase characters. File uploader with auto select of HTML version, which your current browser supports (HTML4/HTML5). For HTML5 version there is a drag-n-drop function, progress bar, file size and multi select, for HTML4 – it’s a usual single file uploader with status bar.